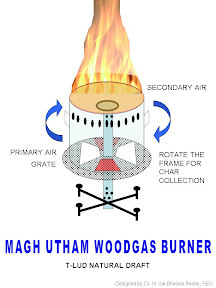 This is the prototype of Magh series "Magh Utham Woodgas Burner". 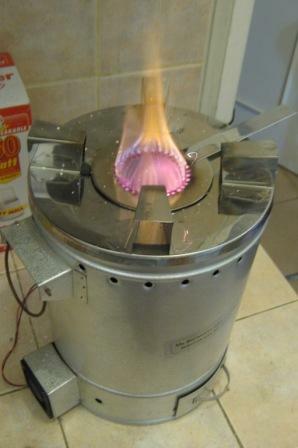 http://e-maghutham.blogspot.com/ This is a natural draft burner (forced air is optional). 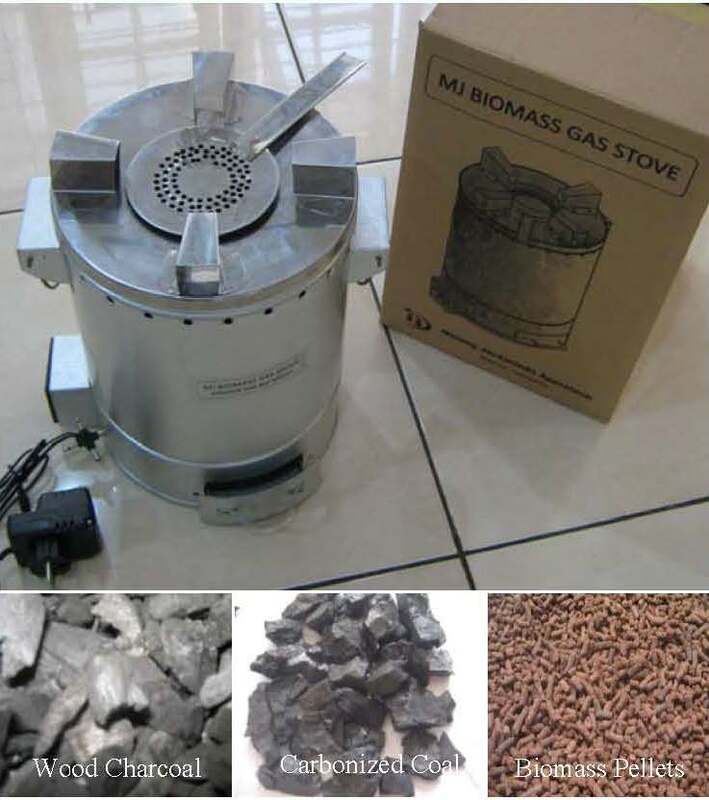 Low cost, low weight, easy of operation, easy to collect the biochar by rotating the combustion frame and easy to reload it. 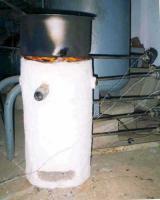 As it is can be used for boilers / institutional stoves / domestic cooking / etc. The performance is good. There could be some more improvements in its design to increase its performance. For details and photographs see the link http://e-maghutham.blogspot.com/ . The term "Utham" refers to "Best" which is part of the name of Prof. K. Purushotham Reddy a very well known environmentalist in India. 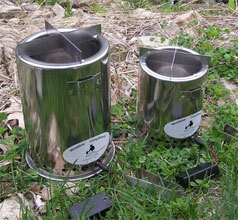 Magh CM-II natural draft woodgas stove http://e-maghcm-ii.blogspot.com/, it is a very low-cost stove for heating and generating charcoal. 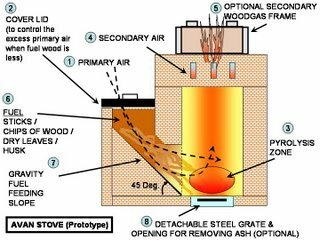 It can also be described as a mini-charcoal making metal kiln. 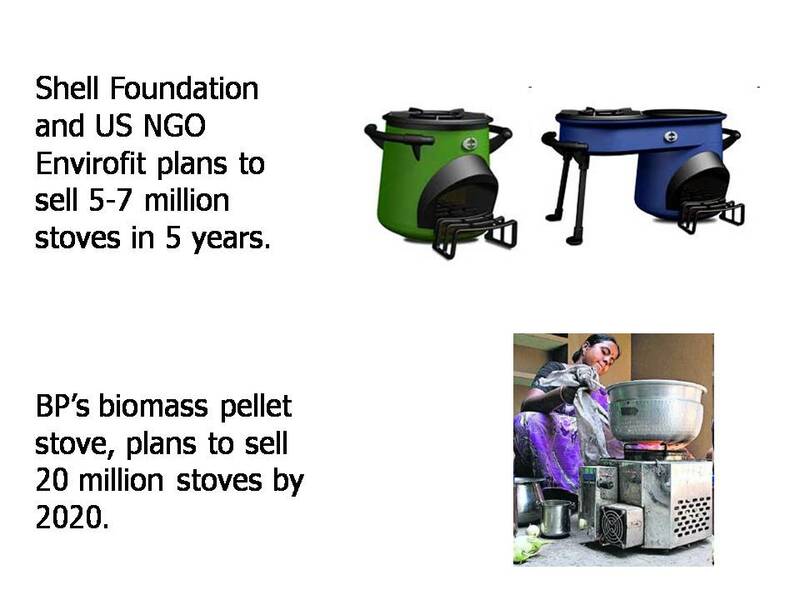 Instead of incinerating biomass generated from home gardens / any other dry combustible material generated as household waste usually throw into the garbage bins, can be used here. The leaf litter, dry twigs / sticks, chips of wood, wood shavings, etc., are very much suitable.